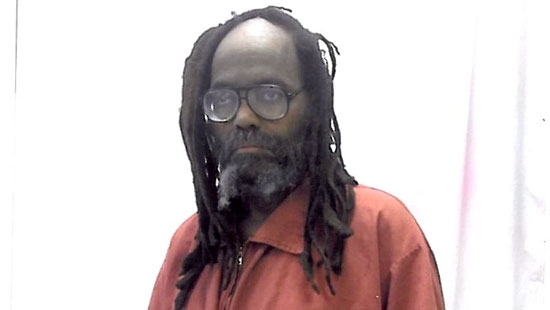 The Philadelphia District Attorney's office announced on Friday, 1/25, that it will appeal a judge's ruling that would allow convicted cop-killer Mumia Abu-Jamal another chance to appeal his case. In December, Philadelphia Judge Leon Tucker granted the new appeal based on a Supreme Court ruling that said a former Pennsylvania justice who heard the appeal had a potential conflict of interest. Ronald Castille was Philadelphia's District Attorney at the time of Abu-Jamal's initial appeal and then was a PA Supreme Court justice at a later appeal. Since Tucker's ruling, the DA's office found six boxes of old files related to the case. They spent weeks going through the material and did not find anything to show Castille was personally involved in the case at the time. District Attorney Larry Krasner's choice to fight the court's decision is somewhat surprising. Krasner, a longtime civil rights lawyer, is focused on criminal justice reform. The Philadelphia NAACP has already criticized the decision. "The NAACP is not here to argue guilt or innocence of Mr. Jamal," said Minister Rodney Muhammad of the Philadelphia NAACP. "We are talking about due process." Officials in New Castle County, Delaware, are warning people to stay away from icy ponds. Rescue crews have had to respond multiple times this month to Carousel Park on Limestone Road for people and dogs going through the ice. The latest rescue happened this morning, Sunday 1/17, around 11:30 a.m. A man was walking his rottweiler when the dog chased some geese out onto the ice. The dog fell into the water and the owner went in after him. The owner couldn't get out and his son then got stuck while helping his father. Some bystanders were able to throw a rescue ring and pull the two out before crews arrived. The father and son were showing early signs of hypothermia. They were taken to the hospital and are doing ok. The dog was taken to a vet and is also fine. This same scenario has happened multiple times. The pond is located next to a dog park, which in warmer weather is great for swimming. Dog owners should keep their animals leashed around icy waterways.